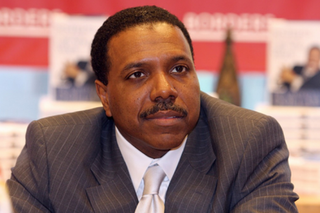 Creflo Dollar Ministries has pulled a Web page soliciting money for a new $65,000,000 Gulfstream G650 jet following a big social media backlash, reports Atlanta’s WXIA-TV. But while the fundraising page for “Project G650” has disappeared, supporters can still contribute through the ministry’s donation page, the report notes. The news outlet also notes that the fundraising page can still be accessed through a cached version from this week showing a five-minute video that talks about the ministry’s works and discusses the need to replace a 30-year-old Gulfstream jet that is no longer operable since an accident in London when it slid off the runway during an aborted takeoff. A recording says the use of an airplane is necessary to help the ministry fly to all parts of the world, the report notes.